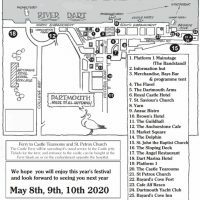 The Dart Music Festival began 21 years ago with a simple premise, to bring some great music into Dartmouth and hopefully provide a boost to the economy of the town after the long winter months. With this in mind the decision was made to keep the music at the heart of this beautiful riverside town and, lacking a theatre or arts centre at the time, an imaginative and diverse choice of venues was established. 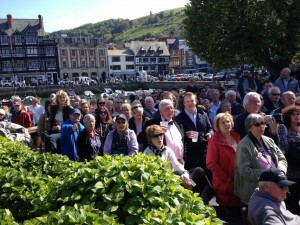 The first festival brought together an eclectic and hugely talented group of artists which not only delighted the visitors to the town but captured the hearts of the residents making it a huge success. It was this unexpected inclusiveness that has shaped the ethos of the festival making it one of the most eagerly anticipated weekends of the year and a matter of great pride and enjoyment for the local population. 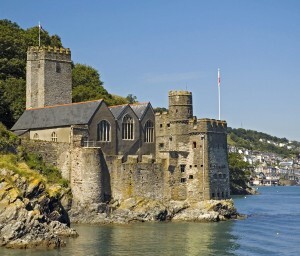 For 3 days every May Dartmouth becomes Music Central and in the last 20 years we have had acts play in numerous unique venues such as an ancient fort, an 11th Century Church, a naval college, a floating stage and an orchard. The festival has grown to the point where we have over a hundred acts playing everywhere from our main Bandstand stage to many of our wonderful pubs, cafes, bars and hotels. The ethos of DMF is “Music for All” and we mean this for both performers and audiences. We have acts from all over Great Britain and abroad as well as giving a stage to local talent. Classical and Contemporary music sit together, and we try to include as many genres as possible in our line ups. ALL performances and workshops are free to attend and are within walking distance throughout the town. You can wander around our lovely streets and riverside soaking up the atmosphere, visit as many venues as you can possibly manage, or relax with a picnic in Avenue Gardens and enjoy the best this unique little festival has to offer. All we ask is that you give us your support to keep the festival going. It now costs in excess of £70,000 to run DMF each year, and we rely heavily on sponsorship, fundraising, programme sales and YOUR continued generosity to keep the music flowing. So please help where you can. DMF is a not-for- profit organisation that is run entirely by a group of hard working and dedicated volunteers. For several years, we have also run the Dart Music Foundation that helps the young members of our community with music lessons, music therapy, equipment and other funding to help nurture the next generation of music lovers, so when we say “Music for All” we really do mean it. Your donations really matter, not just for 3 days in May, but for years to come.